With Christmas just around the corner and many of you yet to finish your Christmas shopping I thought I'd share this fantastic partnership to help spread the word on how you can give back this Christmas and give every child the chance to play and learn as sadly, not all children have the same opportunities. 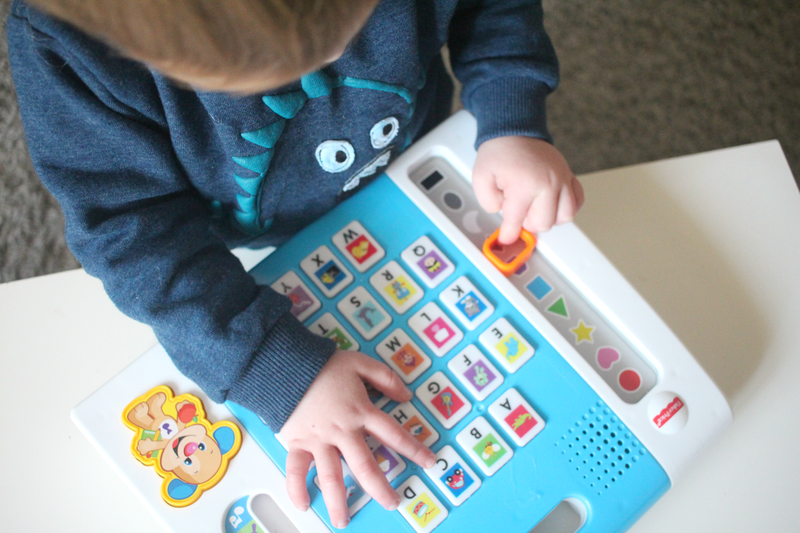 Fisher-Price have teamed up with Save the Children to help change the lives of the most disadvantaged children in the UK with a new partnership that aims to give every child the chance to play and learn. From 2nd November to 24th December 2016 £1 from the sale of 16 different toys from the Fisher-Price Laugh & Learn range, sold at Argos, will be donated to Save the Children. The money raised will help to provide some of the poorest families in the UK vital household items such as beds, cookers, books and toys to help children grow, learn and play. This will help give families the opportunity to create a positive home environment, reducing the family stress associated with poverty and helping ensure children can develop healthily. It’s a vital part of Save the Children’s work to give every child the best start in life. 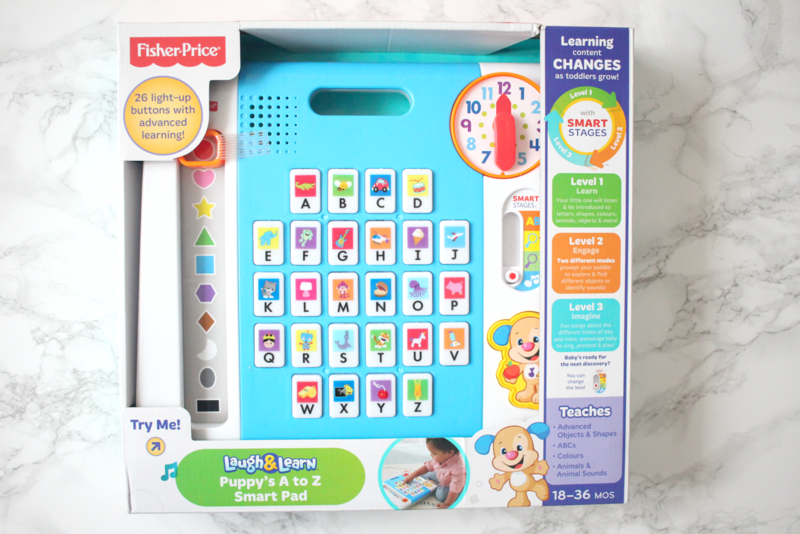 We were recently sent the ABC learning centre from the Fisher-Price Laugh and Learn range to try out. 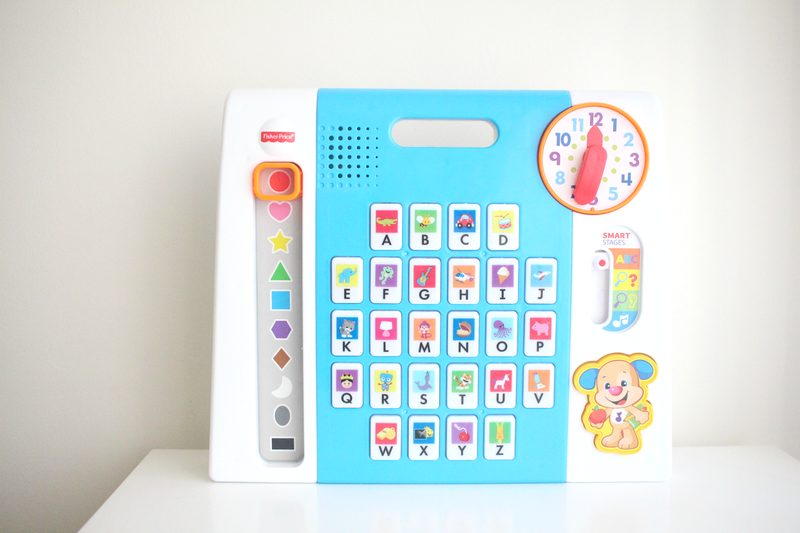 The ABC learning centre is a colourful interactive play panel which is built to grow with your toddler. Harry will be two next month so is on the first stage which is learn. 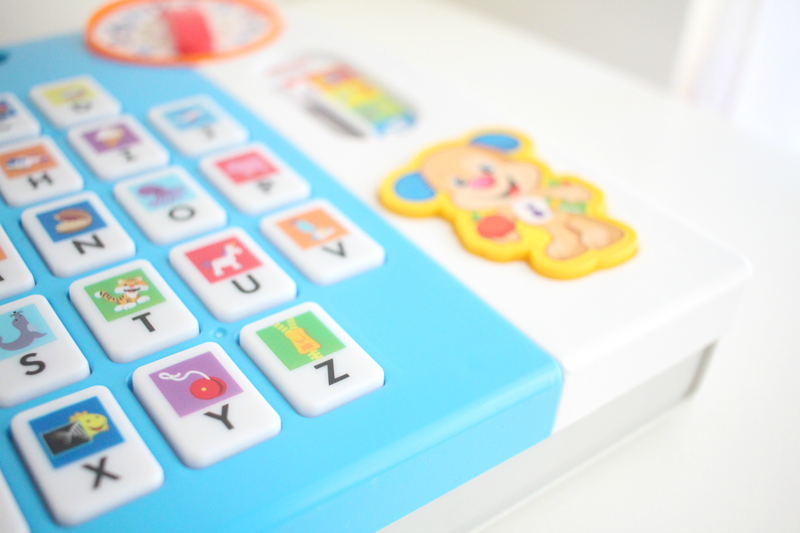 This introduces your toddler to letters, shapes, colours, animals, objects and more. 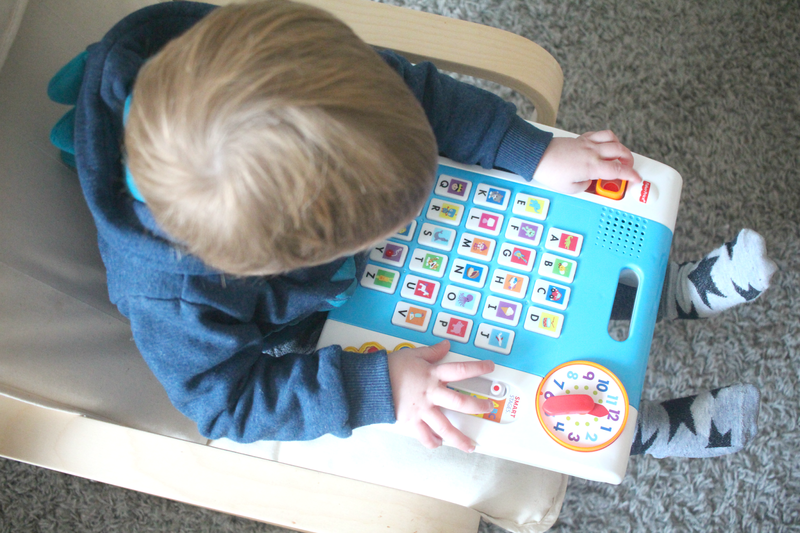 Harry already knows a lot of his colours, shapes, objects animals as well as some letters so as well as the first stage we have been using the toy in the levels 2 and 3 which are engage and imagine. 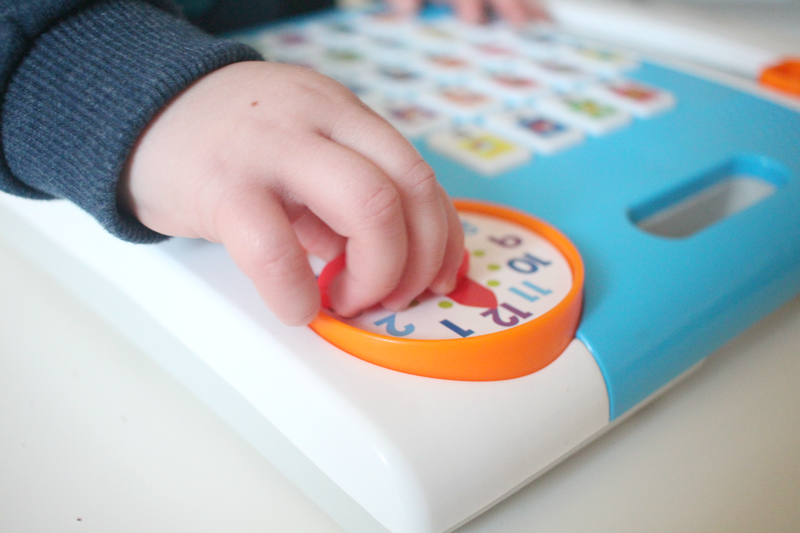 Harry loves playing with the ABC learning centre and will quite happily sit on his own and press all of the buttons, repeating the words and moving the hands on the clock which then plays a song which he absolutely loves dancing to. There a few other songs on it too which he can't resist dancing to every time they play. Even Amelia who is 4 likes playing with it and shows Harry the letters on the buttons. You can find out which toys from the Fisher-Price Laugh and Learn range are included in the Save the Children campaign available at Argos. They are all clearly marked with the Save the Children symbol. So if you're still looking at doing some Christmas shopping then I'd highly recommend choosing something from the Fisher-Price Laugh and Learn range as not only buying a great education toy for a child this Christmas you'll also be helping support a fantastic organisation! What a lovely campaign. 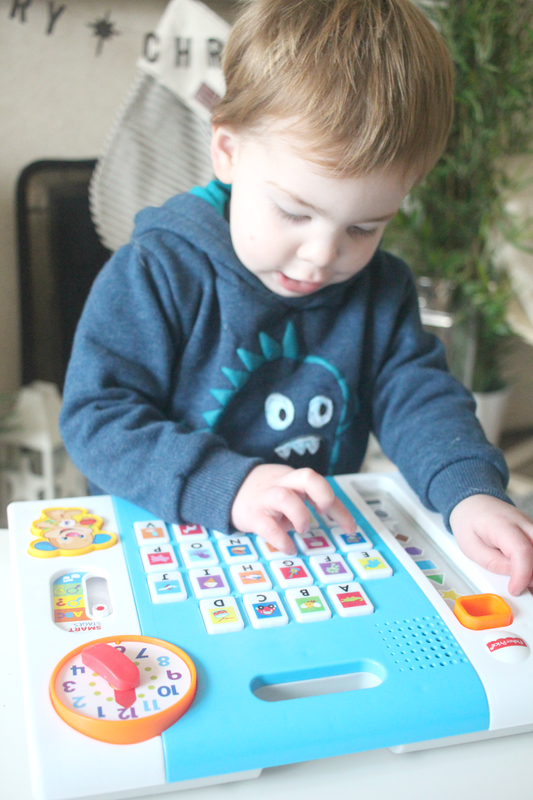 Blake loves his fisher price toys and this learning centre looks fab. That is such a nice gesture. The toy looks brilliant. Thats a nice campaign, and they do make great toys for little kids too. My eldest daughter is of similar age to your little one and I think this is a great educational toy as well as helping a great cause.